Adaptive and Robust Sliding Mode Position Control of IPMSM Drives, ZAKY, M., SHABAN, S., FETOUH, T.
An Efficient Tile-Pyramids Building Method for Fast Visualization of Massive Geospatial Raster Datasets, GUO, N., XIONG, W., WU, Q., JING, N.
This paper includes a Heading Control (HC) system for a multi-body vehicle. HC system helps reducing the required torque from the driver and improves the lane keeping efficiency. HC system is important for safety and driver comfort in traffic. The controller performance is examined on a virtual test drive platform. The optimal control theory is applied to HC system and examined on a curved path and under a side wind disturbance. Different assistance levels are applied to see the characteristics of the controller with different virtual test drivers. The results are analyzed based on three performance indices; lane keeping performance (LKP) index, assist torque performance (ATP) index and driver torque performance (DTP) index. As seen from the results while using HC system the lateral displacement decreases as the lane keeping performance increases and the driver torque performance decreases as the assist torque performance increases. Sarshar, M., Rezaei, M., "A novel system for Advanced Driver Assistance Systems", Systems Conference, 2010 4th Annual IEEE, pp. 529 - 534, 2010. Wigh, F., "Detection of Driver Unawareness Based on Long and Short-term Analysis of Driver Lane Keeping", Master's thesis, Vehicular Systems, Dept. of Electrical Engineering at Linköpings universitet, 2007. Amditis A., Bimpas M., Thomaidis G., Tsogas M., Netto M., Mammar S., Beutner A., Möhler N., Wirthgen T., Zipser S., Etemad A., Mauro Da Lio, and Cicilloni R., "A Situation-Adaptive Lane-Keeping Support System: Overview of the SAFELANE Approach", IEEE Transactions on Intelligent Transportation Systems, Issue: 99, Page(s): 1-13, 2010. Liu, J., F., Wu, J.H., Su, Y.F., "Development of an Interactive Lane Keeping Control System for Vehicle", Vehicle Power and Propulsion Conference, IEEE 9-12 Page(s):702-706, 2007. Romano, R., "Real Time Multi-Body Vehicle Dynamics Using a Modular Modelling Methodology", SAE Transactions, vol. 112; part 6, pp. 1343-1348, 2003. IPG Virtual Test Driving, User's Guide, CarMaker version 2.0, 2004. Wurster U., Juricic J., IPG Driver User's Guide, 2003. 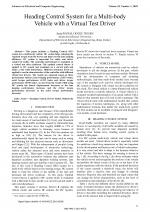 Araghi L.F., Korayem M.H., Nikoobin A., "Linear Quadratic Gaussian Controller for Two Link-Robotic Manipulator Control", Proceedings of the World Congress on Engineering and Computer Science, USA, 2008. Leelavansuk P., Yoshida H., Nagai M., "Cooperative Steering Characteristics of Driver and Lane Keeping Assistance System", International Journal of ITS Research, Vol.1 , No.1, pp.17-24, 2003. Khan S., "Analysis of Simulation Techniques & Taguchi Methods as Applied to Optimize the Setup of a Formula 3 Race Car", Cranfield University, MSc Thesis, 2007. 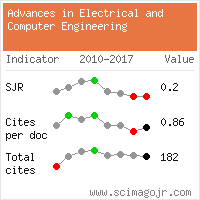 Citations for references updated on 2019-04-17 06:58 in 28 seconds. Website conception, design and maintenance by Eugen COCA. Content updated on 28 Feb 2019. Site engine updated on 28 Feb 2019. This page was generated on the server in 0.080 seconds and loaded in your browser in > seconds.